Several years ago, Ace Distributing needed an analysis of their network infrastructure. 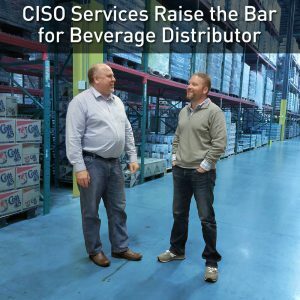 The beverage wholesaler based in Wrightsville, Pa. was quickly growing and needed to ensure they had the IT solutions to support their mid-sized company. Splashwire was up to the task. After a thorough review of Ace Distributing’s network and IT solutions, Splashwire identified opportunities for improvement. Today, Splashwire and Ace Distributing continue to work together to keep Ace’s IT infrastructure where it needs to be. “We have comfort knowing we have higher reliability with Splashwire’s monitoring systems and IT support from their team of experts,” Reeder said. In conjunction with its ongoing growth, Ace Distributing is experiencing changes operationally, logistically and strategically. That’s why they also now depend on Splashwire’s C-suite services to guide them in how to leverage technology to reach their business goals. Through its Chief Information Security Officer (CISO) Services, Splashwire brings to the table strategic-level knowledge, education and experience. CISO services provide senior-level expertise to assist companies in establishing, improving and managing their technology. Contact Splashwire today to learn how they can support your business’s technology and IT support needs!